This is a graphic of my vision for a vacant parcel located between Spring Creek TND and an existing grocery store frequently visited by the neighborhood. Currently the land is zoned commercial, and a re-zone to live/work or townhomes would be a fairly easy sell to the neighborhood, in my opinion. 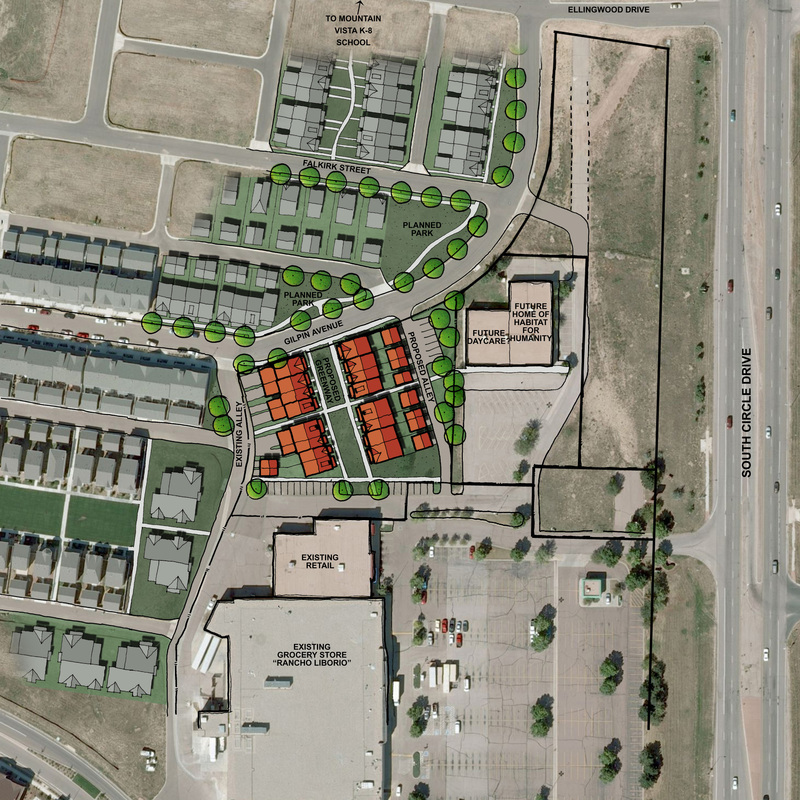 The parcel is 1.6 acres and the sketch illustrates 10 du’s/ acre with 16 townhomes or live/work units.